IS THE FUTURE OF MOBILE NEAR (FIELD)? The Wall Street Journal reported on January 31 that mobile and online are the “be-all and end-all” to reach customers. Bob Phibbs, who recently researched the subject, calls that assessment exaggerated. Mobile is evolving at a pace that makes desktop e-commerce look glacial. But does it deserve to be crowned the “wave of the future” as many claim? What’s the killer app? 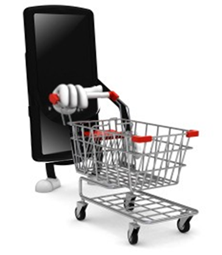 Mobile succeeds for shoppers when it is more convenient than alternatives. Consider accessing product information, wayfinding and offers, and it often beats other platforms. It is more accessible than a PC, more self-aware than a map, and less likely to be forgotten than paper coupons. But it is only moderately suited for trip planning and not a replacement for service from real associates. Functions are limited, it only returns as much as a user can search, and it doesn’t empathize with lost or frustrated shoppers. What is the killer app? Price comparisons? Geo-location? How about transactions. Mobile will find a catalyst with contactless payment. Starbucks is only the beginning. There’s AT&T/Verizon/T-mobile, the iPhone 5, Google Nexus S, Barclaycard/Visa and others pushing Near-Field-Communication (NFC). The forces are gathering for completely new payment networks for retailers if, as RSR notes, they can agree on standards.